Apartment 17E at 49 West 72nd Street has just undergone a complete transformation. Originally a traditional pre-war residence, this modern one bedroom now looms atop Manhattan’s Upper West Side. Design details feature custom imported Spanish cabinetry, Caesarstone Airy Concrete countertops, Brizo and Kohler fixtures, as well as oversized hidden closets. Unobstructed windows in each room illuminate the contemporary finishes and provide vast city views in every direction. The sleek bathroom is complete with a custom herringbone concrete floor, floating vanity, and open shower. Finally the electric and plumbing has been upgraded throughout, with cable hookups in each room. 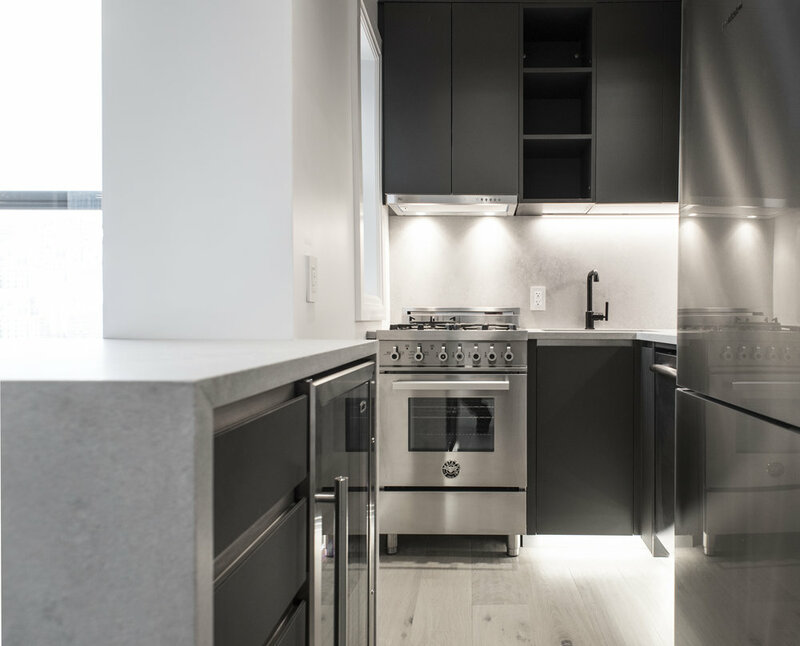 The Parkway located 49 West 72nd Street is a full service cooperative providing residents with a live-in super, part time doorman, laundry room, and private storage. Located only a half block from Central Park and surrounded by some of New York’s best shopping and dining options, make this residence one of the most sought after locations in the Upper West Side. The designers at Argent Advisors embrace the history of the surrounding neighborhood while embracing the new age design of today. There is currently a $289.33 monthly assessment. Additional pictures will be uploaded shortly. Pictures currently posted are of a similar exposure.